Courtesy of Angie Nevil & Assoc. Real Esta, Angela Nevil. PRICE REDUCED…Lake views from both levels of this 3 Bdr, 2 Liv area resort home in White Bluff on Lake Whitney.Granite kitchen with stainless appl plus formal dining with built-ins.Master on main level with large closet areas and built-in chests.Upstairs game room-man cave with built-in office area and wet bar including microwave.2nd floor liv opens to covered balcony with exceptional lake views and spiral staircase to backyard. 2nd lot behind home included to prevent any future lakeview loss.Two upstairs Bdr2019;s with separate vanity and commode areas off Jack and Jill bath.Full membership transfer and use of all WB amenities including two 18 hole golf courses, marina, 5 pools, tennis courts and more transfers. Please, send me more information on this property: MLS# 14004076 – $425,000 – 42268 Spyglass Drive, Whitney, TX 76692. 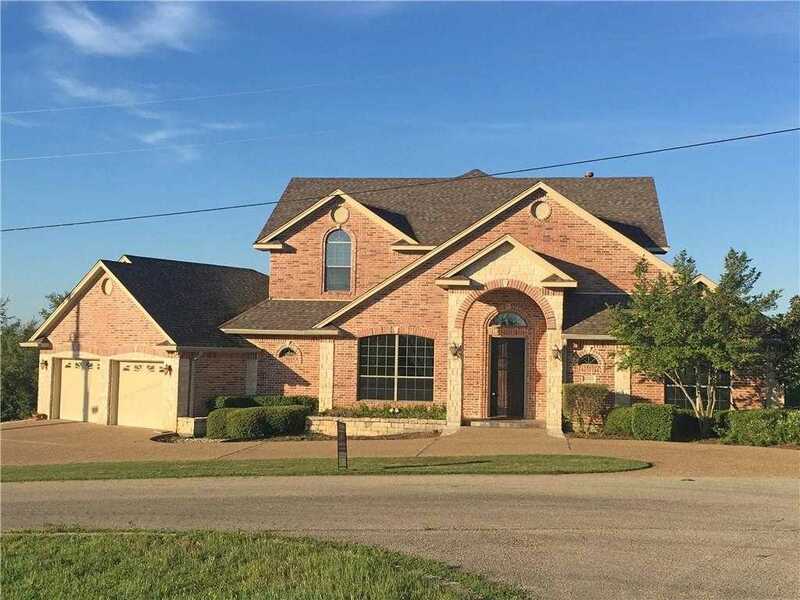 I would like to schedule a private showing for this property: MLS# 14004076 – $425,000 – 42268 Spyglass Drive, Whitney, TX 76692.